Green Angel and Barnardos: Win/Win | Bright & Beautyfull! Typing too quickly, that title came out ‘Win/Wine’ — which is not exactly wrong. I’ve been off the Green Angel frequency in the last while, and am looking forward to giving some of their new products a go. 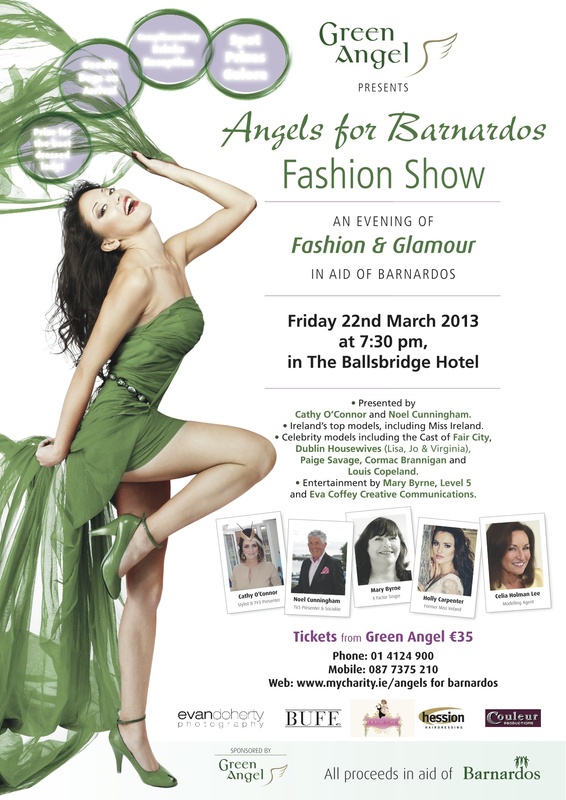 In the meanwhile, here’s some info about their fundraising fashion show in conjunction with Barnardos, at the Ballsbridge Hotel on 22 March. Do support the initiative above, and make a day of it: go and get a blow dry, and/or your makeup done, and then take your bad self out and show it all off. The Green Angel website is under construction; email them at shop@greenangel.com for stockist information.